German Atlantik: Hanseatic 2 Deck Plan Booklet. 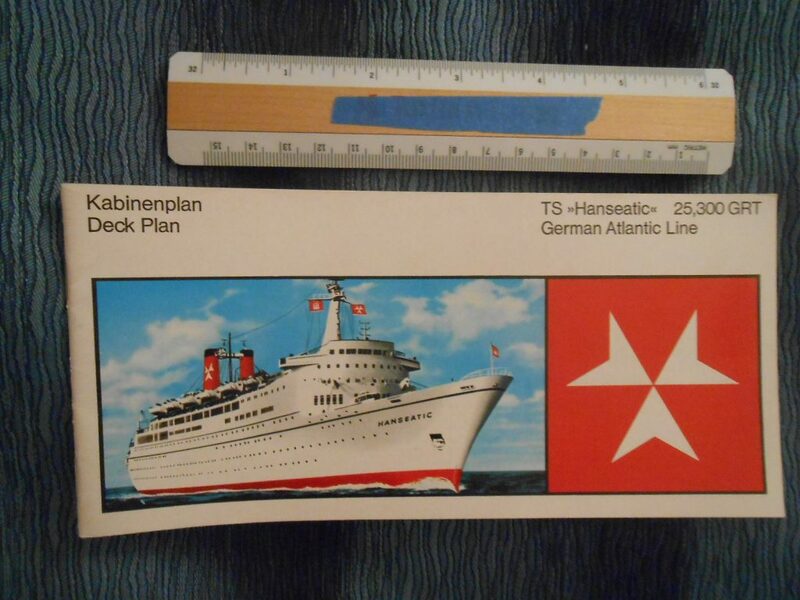 Lovely glossy deck plan booklet for the Hanseatic 2 ... once Zim Lines flag ship Shalom. She was chartered and purchased after the Hanseatic’s famous engine room fire at her dock in NYC. In excellent condition on quality glossy paper.